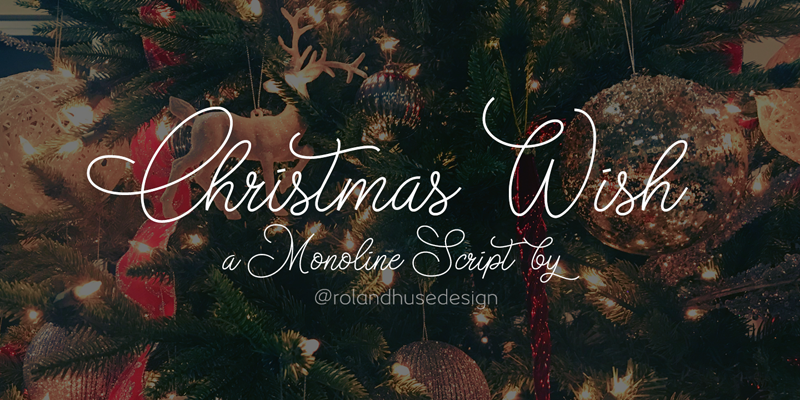 CHRISTMAS WISH is a cursive monoline script that has a calligraphy version as well. This version is free for personal use. Full version contains terminals and ligatures for better connection and more natural flow, Eastern and Western European language accented characters. You MAY NOT sell this font or claim them as your own. You MAY NOT edit or rename this font. You MAY NOT redistribute this font. Thank you I hope you like this font & good luck with your project!